StopAfib.org and the American Foundation for Women's Health pledge to respect your privacy. We are committed to being one of the most trusted sites for atrial fibrillation patients and will not jeopardize our relationship with you. We do not require you to register at this site. No personally identifiable information will be stored in cookies. Information that you provide to us voluntarily with the expectation that it is not to be shared (such as your contact information to receive newsletters) will not be shared for use by third parties. 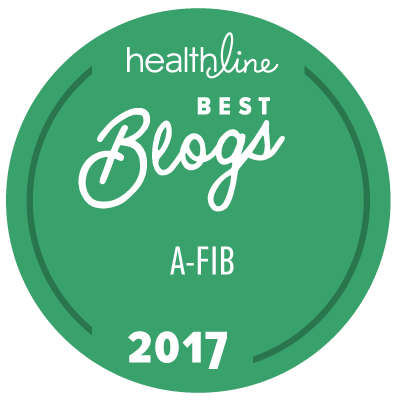 If you share your story with us for publication on StopAfib.org, we may publish it as you submitted it; or if we write it up into a narrative, we will request your approval of the story before publishing it. If you provide a patient review of a doctor or facility for publication on this web site, we will request your name and contact information for validation purposes and will safeguard that information. We will publish the review using your name and location. You may request that your name not be published, and in that case we will keep your name and contact information private. If you chose to be listed in our Atrial Fibrillation (Afib) Services Locator, the information you provide will be deemed to have been submitted for publication there unless otherwise denoted on the form (such as contact information that the form denotes will not be published). The personal information discussed above may be kept on the computers of our service providers but will only be used by them for the purpose of maintaining and safekeeping that data for us. We respect your privacy and your information and will not jeopardize our relationship with you.